Click on one of the 4 options below. Be sure to check the box that says, "Make This a Monthly Donation"
Note : RWU members who donate at least $10 per will remain in good standing and not have to renew your membership dues ever as long as you continue your recurring donation. For additional information of this process, click HERE. Note: This donation to RWF is tax-deductible but does not waive RWU membership dues. 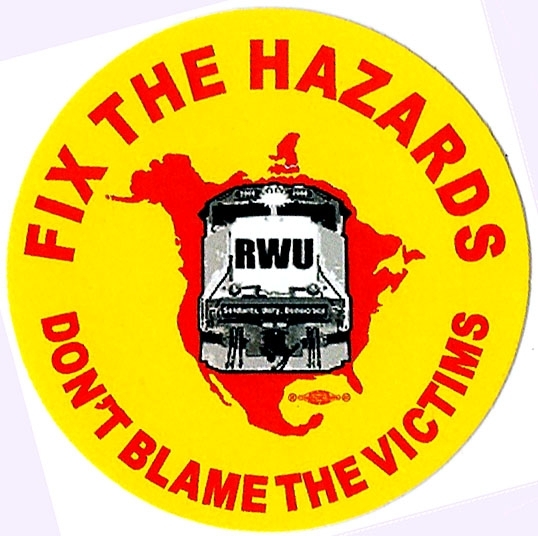 We appreciate your support and look forward to working with you to build unity, solidarity and democracy for rank & file railroad workers of North America. Our futures depend on it.